Posted by Sam Smith on Saturday, July 30th, 2011 at 3:03pm. 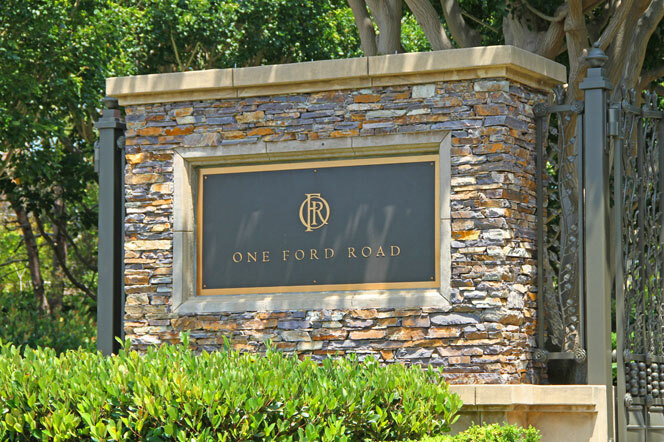 One Ford Road in Newport Beach is a luxury gated community with a selection of upscale neighborhoods including the Providence community. Providence homes are well known as some of the best values to be found in Newport Beach. Large two story Colonial, Cape Cod and Traditional style homes grace the community. As part of the One Ford Road community you get to enjoy the many amenities including multiple parks, pools & spa, outdoor entertaining areas and the 24 hour guard gated security entrance. If you are not familiar with Newport Beach Real Estate and the One Ford Road community we recommend you take an afternoon to visit the different community homes currently offered for sale. Price ranges for Providence homes will range in the mid $2 million dollar range to just under $4 million dollars. You will find less expensive homes in the Summer House and Balboa One Ford Road tract with Pacific Heights being the most expensive with large two story ocean view homes. For more information on the various Newport Beach Homes For Sale please contact us today at 949-444-1901.